Sands Point Center for Health & Rehabilitation welcomes you, and thanks your for choosing our center for your healthcare needs. An exceptional community healthcare resource for many years, we exceed expectations in meeting the needs of individuals who require short-term skilled nursing care. Our staff of concerned and dedicated professionals is committed to helping everyone through providing support and guidance on a one-to-one basis. Whether you join us for a brief stay or call us your home, we want you to feel as comfortable as you would amongst family, while receiving care such as physical therapy, occupational therapy, or speech therapy. Sands Point Center for Health & Rehabilitation also provides a myriad of medical services including pulmonary rehabilitation, heart failure services for CHF, cardiac recovery, amputee rehabilitation, stroke rehabilitation and wound care management to name a few. Sands Point is a proud “Preferred Provider” of St. Francis Hospital, New York’s only specialty designated cardiac center. Contact us or stop in to learn more about this partnership. Our center has been recognized by U.S. News & World Report as one of the “Best Nursing Homes”in the United States and has received the highest possible overall rating of five stars. The Best Nursing Homes 2016 ratings highlight the top nursing homes out of nearly 16,000 facilities nationwide. Sands Point Center for Health and Rehabilitation has achieved this honor through assessments in health inspections, level of nurse staffing and quality of care. Rankings are also based upon a rating from CMS. Sands Point Center for Health & Rehabilitation prides itself on our customer service and maintains a common commitment to the highest level of quality care, a focus on customer service and providing a nurturing environment for both patients and families. 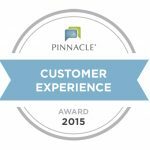 We are pleased to have received a“Customer Experience Award – 2015”from Pinnacle Quality Insights demonstrating our center’s commitment to the “Four Pillars” of our mission statement: Kindness, Compassion, Service and Excellence. U.S. News & World Report has named Sands Point Center for Health and Rehabilitation as one of its “Best Nursing Homes” for 2013, 2014, 2015, 2016 and again for the 2017-18 year! It was impressive to witness so many hardworking therapists and helping people. Your center goal is health & rehabilitation and it is the first priority. It has been accomplished and met well. Most of your therapists were excellent professionals and hardworking people. I was quite impressed. During the rehabilitation period, I, myself, felt progress and improvement on my foot every day. We are all proud of the Sands Point Health and Rehabilitation Center in our community. The center utilizes available resources in the community such as churches, schools, Jewish centers, and other interested groups, organizations, etc. It has been a great experience for me and I'm proud of the center- a model center. I appreciation what the center did for me. Thank you very much. I'm on the way to a smooth recovery. "My 89 year old mother has been at the Sands Point Center for the past two years and we couldn't be happier. She requires assistance with most day to day activities as well as skilled nursing care. The staff has done an outstanding job in all cases. They are some of the most loving, caring people I've ever met, as well as being consummate professionals. The food choices at the Center are excellent and the residents are offered numerous activities to keep them busy. We moved out of the NY area last year and stay in touch over the phone and with visits 2-3 times a month. No matter when we get there, and we often come unannounced, everything is as it should be. I would not hesitate to highly recommend the Sand Point Center to anyone in need of the services they provide." "Based on my mother’s experience at Sands Point I would like to commend you for having caring staff. My mother found your faculty to be very accommodating and she enjoyed the meals. She does not eat fish or pork and they adjusted her menu to encourage her with what she enjoys like a burger or grilled cheese. Over all the staff are what made it a good experience here from the cleaning staff to the direct care staff. On behalf of my mother I would like to recognize both Vivian and Faye who cared for her on days and evenings. Wonderful and caring ladies!" "The staff at Sands Point is friendly and very nice. Nadine and Ishma take very good care of my mother and Nicole is helping my mother to be independent. My mother is allowed to rest when she needs to and the quality of the food is great. The facility is clean and well managed and I would definitely recommend Sands Point to others considering rehab." We were grateful to have found Sands Point and appreciate the care and support we received while Mom was there. Kelly, the social worker, was extremely kind and helpful. She was never too busy to listen to me and quickly found ways to help Mom be more comfortable. I have found solace knowing that she had visits from the hospice nurses, the aide, and the priest, Father Hyacinth. There were many people at Sands Points who helped us during the last year. We appreciate all that was done to make her final months as stress-free and comfortable as possible. Sands Point is a wonderful place, the staff is so caring. The center is so beautiful it is hard to believe it is a healthcare facility. "I've enjoyed my stay here! From the nurses, the nurses aids and the food, everything was great! The staff here were so warm, supportive and friendly, and the therapy was terrific!" Everyone cared very much and were just wonderful. I can't say enough good things about Sands Point. I will always remember the kindness everyone showed me. "I would give you 5 Stars!!! My 95+ year young Mom has considered Sands Point Center her home for many years now. She has made many friends there of both residents and staff. The highly competent staff treats my Mom with dignity, and is welcoming and appreciative of family input. We could not have made a better choice for her ongoing care." "I've enjoyed my stay here. As a retired member of the 83rd infantry division; having served in Normandy I love the respect I got as a retired serviceman for my counrty. This is a great place!"